If you own a garage, then you need the garage floor coating. This is simply a coating that you place on top of your garage floor so that it provides better traction to your vehicle’s wheels. One of the main advantages of the garage floor coating is that it is made from an epoxy-based material that is very durable and long-lasting. You will not have to replace your garage floor coating every year because it should last anywhere from 10 years to 20 years, easily. Moreover, the application is extremely easy, and you do not need any experience at all. Most of the time, you can apply it with a paint roller. If you are fresh on the market for the best garage floor coating for the money, then our review below lists some quality floor coatings that are well worth it. Let’s check them out! What distinguishes the Rust-Oleum from the rest of the competition is that it has a finish that makes it ideal for any type of floor, whether it is the floor for your garage, basement, etc. It can be used everywhere. 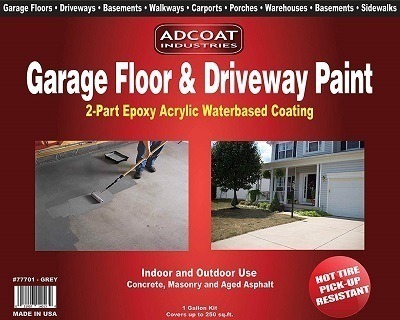 In addition, this garage floor coating is very easy to apply as it is a two-part solvent based epoxy. You will have to mix the hardener with the coating before application. It is very easy, and it comes with a detailed instruction manual that will show you exactly how to do it. Also, the coverage of 300 to 400 square feet per gallon is very decent. 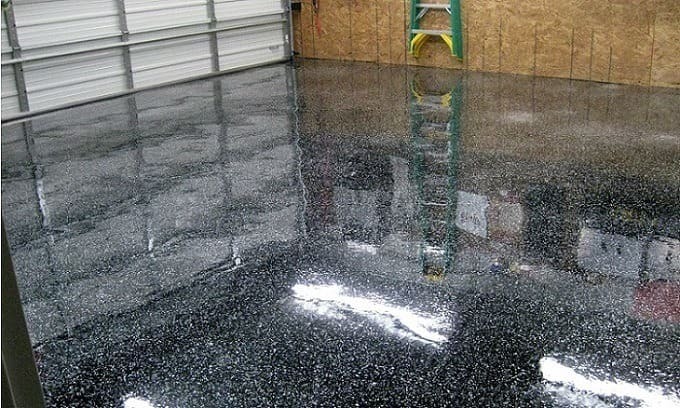 This epoxy-based garage floor coating will dry in 24 hours for foot traffic and will need at least 4 days before you can use a vehicle in your garage. And in order to make this floor coating even more interesting, you can add decorative chips to it. Once cured, it will look simply amazing. 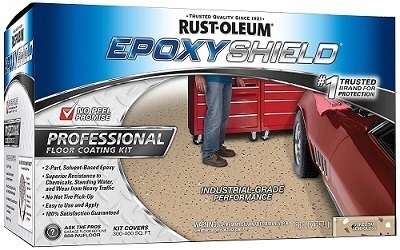 If you have a big garage and need a garage floor coating with high coverage, then the Epoxy-Coat is one of the best choices in this garage floor coating review. Indeed, it has a coverage of 500 square feet per gallon which is quite impressive. But what we really like about this product is that it is made in the USA, so you are assured of getting a high-quality garage floor coating. Moreover, even more so this floor coating comes with a lifetime guarantee by the manufacturer, so you have absolutely nothing to lose. The manufacturer even claims that its product is 10 times more durable than your average garage floor coating. Best, there is no odor from this product, and it has been treated in such a way that it prevents the proliferation of moss, mildew, and bacteria. One big problem that most other garage floor coatings phase is yellowing. This is because over time, the garage floor comes in contact with water and oxygen and it oxidizes. The Supercoat Waterborne has special additives that will prevent this from happening. This is an industrial grade glaze coat that you apply on top of your epoxy-based floor, and it will be provided with superior protection. It is able to resist any type of chemicals, ranging from brake fluid, gasoline, and even battery acid. Of course, it will also not discolor as previously stated above. 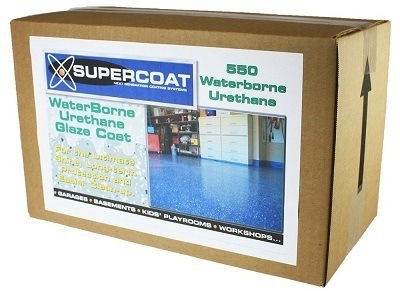 Based on durability and longevity alone, the Supercoat Waterborne is definitely the best garage floor coating for the money. It is hard to get a product that is this kind of durable. The only caveat is that this is an expensive garage floor coating when compared to other solutions in this review. However, if the price is not an issue, get this floor coating right now! This garage floor comes in a 2-part clear resin and hardener labeled “A” for the resin part and “B” for the hardener. What makes the Coloredepoxies unique is that it is colored. If you don’t like your garage floor to have the regular gloss or semi-gloss finish but rather be colored, then this is an excellent choice for you. Moreover, you get a 3-gallon kit with this purchase. Nevertheless, the coverage is quite poor when compared to other products in this review. Indeed, this garage floor coating covers only 125 to 175 square feet per gallon. And even if it is colored, it will still cure into a high-gloss finish. The finish will be very durable, highly resistant to impacts, and last a long time. But best of all, this is one of the few products in this review that is fully UV resistant, so it can be used outside as well. All in all, if you don’t mind the pool coverage and need a colored garage floor coating, then the Coloredepoxies is one of the best garage floor epoxy coatings on the market. 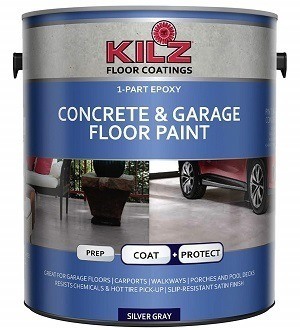 If you don’t need the regular floor coating but rather paint for the finish of your garage floor, then you might consider the Kilz. 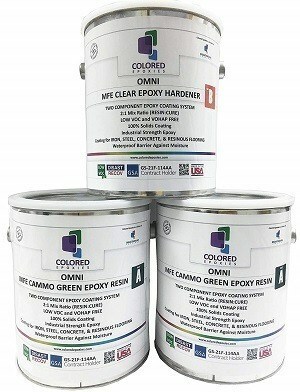 This is a one-part floor coating that is extremely easy to apply because there is no mixing to be done. It is simply painted, and if you can paint a wall, then you can apply this floor coating to your garage floor. 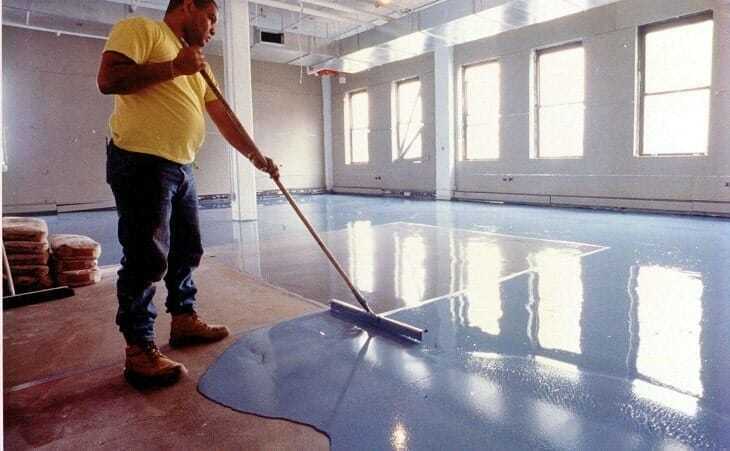 Additionally, one of the biggest advantages of this product is its high coverage of 400 to 500 square feet per gallon which makes it one of the best concrete floor paints that you can buy. Few garage floor coatings are UV resistant. Therefore, they are not ideal to be used outdoors where the sun shines. However, this is not a problem with the AdCoat because it is fully UV resistant and can be used both indoors as well as outdoors. It is also resistant and will not leave tire marks on the surface because its surface is extremely durable and hard. The application is quite easy by absolute beginners, and you get a 2-part epoxy with this product. It is water-based and non-toxic. You do not need any special equipment except perhaps a paint roller to apply this product to your garage floor. But what we like the most about this top-rated garage floor coating is its versatility because it can be used anywhere as a regular pain, whether you want to paint wood, brick, or your garage floor. First and foremost, you must decide on the coverage area. By this, you need to measure your garage floor surface area in square feet and then determine which floor coating is best for your need. Most garage floor coatings on the market have coverage of around 250 square feet per gallon. However, each manufacturer and product have different coverages. If you’re interested in a specific garage floor coating, check the specification for the coverage as it will give you an idea on how many gallons you will need for your garage dimensions. Each garage floor coating has a different finish. Since most garage floor coatings are epoxy-based, they will have a clear and glossy finish. However, there are many garage floor coatings that will offer you a Matt finish, semi-gloss, or high-gloss. You will need to choose a finish based on your preference. The durability of your garage floor coating is one of the most important aspects to consider. After all, the garage floor will undergo a lot of wear and tear, especially if you move in and move out with your vehicle often. Some of the best garage floor epoxy coatings on the market should last you at least 10 years if it is applied properly. It should also be resistant to tire marks. Check out mentions by the manufacturer like “tire resistant” as this will assure you that it will not leave tire marks on the surface. Also, keep an eye out on any details given by the manufacturer on how long their product will last. The drying time is simply the amount of time that the garage floor coating will cure and can be used normally. It normally varies anywhere from 24 hours up to 7 days depending on the product you choose. You need to ensure that you know exactly the drying time of your garage floor coating firsthand. This is because you don’t want to start using your garage floor too early because it will affect the finish permanently. Your garage floor coating needs to be resistant to regular wear and tear. Luckily, most garage floor coatings are epoxy-based which is extremely durable and will not get damaged easily, even when abused. Don’t worry; you can use the garage floor coating to perform any type of activity because it is incredibly durable and resistant to scratches and marks. There is a myth that is applying the garage floor coating is very difficult, and you need professional help. This cannot be further from the truth as the garage floor coating is very easy to apply by even absolute beginners. It is as simple as painting a wall with regular paint. However, you need to make sure that you follow the instructions carefully. Therefore, ensure that the manufacturer ships their garage floor coating with a proper instruction manual. 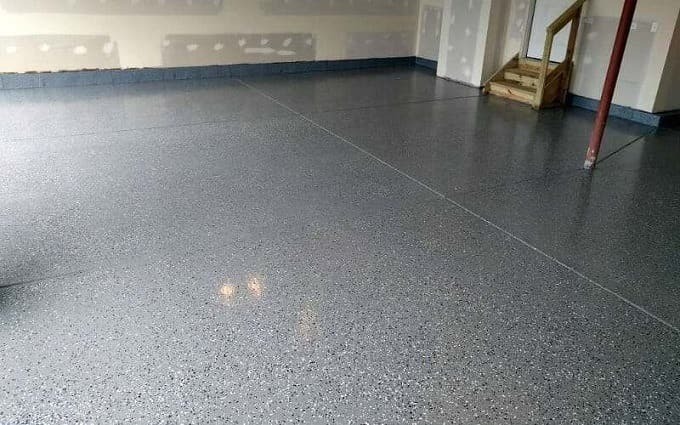 Even if the garage floor coating is made for the garage floor, it should still be versatile so as to be usable in other areas of the house like your workshop, basement, or even regular bedroom. There is simply no reason why you cannot use the garage floor coating elsewhere. Also, not all garage floor coatings can be used outdoors. If you need a coating for outdoors, you need to check if the product is suitable for outdoor use. Since the garage floor comes in contact with all sorts of nasty chemicals, you need to ensure that your garage floor coating is resistant to chemicals like oils, brake fluid, gasoline, etc. Despite not being true, the garage floor coating is often seen as being very expensive. This cannot be further from the truth as most top-rated garage floor coatings are around $50 per gallon on average. Many people think that all the garage floor coatings are the same and that they simply change in color or gloss finish. This cannot be further from the truth because each garage floor coating has a special formula and made from a unique chemical compound depending on the manufacturer. 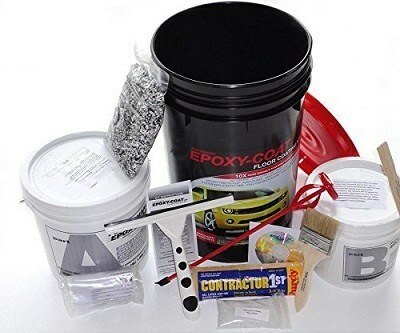 Most of the time, you will find the garage floor coating to be epoxy-based. However, each manufacturer tunes the chemical compounds inside the garage floor coating to give them a unique characteristic. You don’t need professional help when applying the garage floor coating. It is very beginner friendly, and if you can paint a wall, then you can apply the garage pain coating yourself. It is very easy to do. Yes, cleaning your garage floor before applying the garage floor coating is not enough. In order for an epoxy-based garage floor coating to adhere to your garage floor, you need to not only clean it but open the pores as well. You also need to polish the garage floor because a rough surface will prevent proper adhesion. This is simply not true. The garage floor coating is very heavy-duty, durable, and long-lasting. You do not need to apply it often. In fact, a quality garage floor coating will last you anywhere from 10 years to 20 years. Everyone with a garage needs to apply the garage floor coating for security reasons. This epoxy-based coating will provide better traction to your vehicle’s tires, and it is also generally aesthetically pleasing. Also, the garage floor coating is resistant to oils and petrol so they are superior to any other type of coating that you can buy. This is a heavy-duty coating that will last a long time, and you will not need to replace it every year. Lastly, if you have read our garage floor coating review above and still not decided on a coating for your garage yet, then we recommend that you go through the review again.